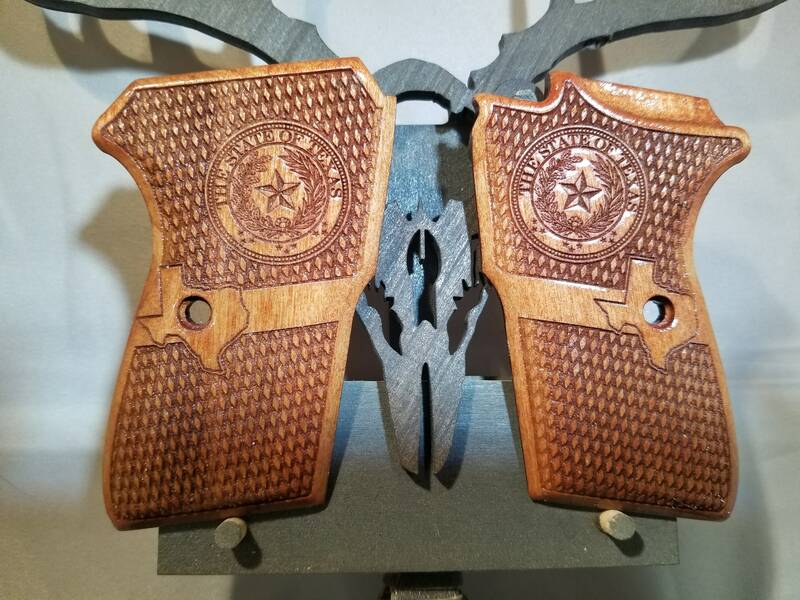 This is a set of Bersa Thunder 380 grips made from Poplar and stained GUNSTOCK RED. 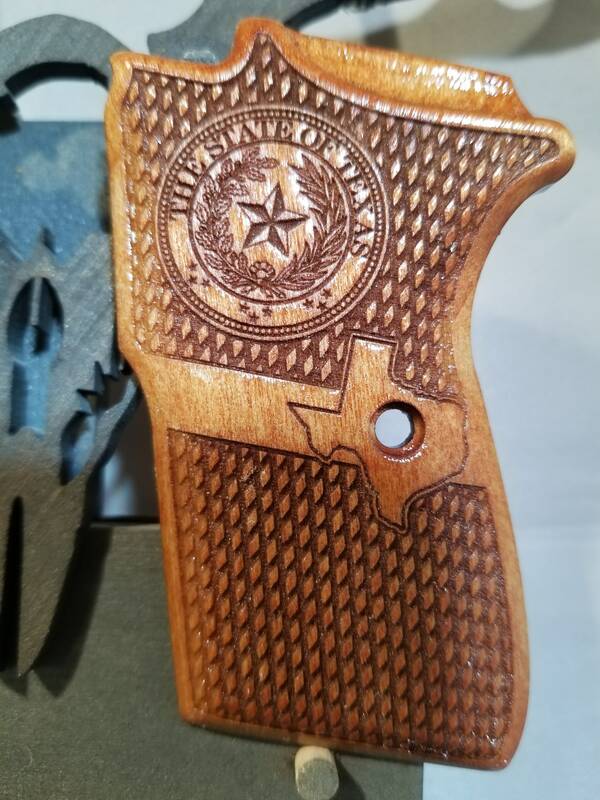 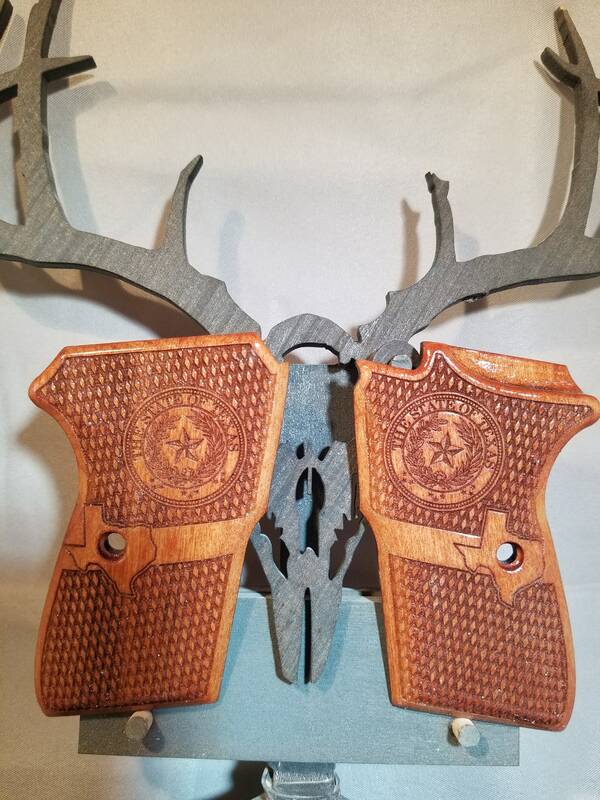 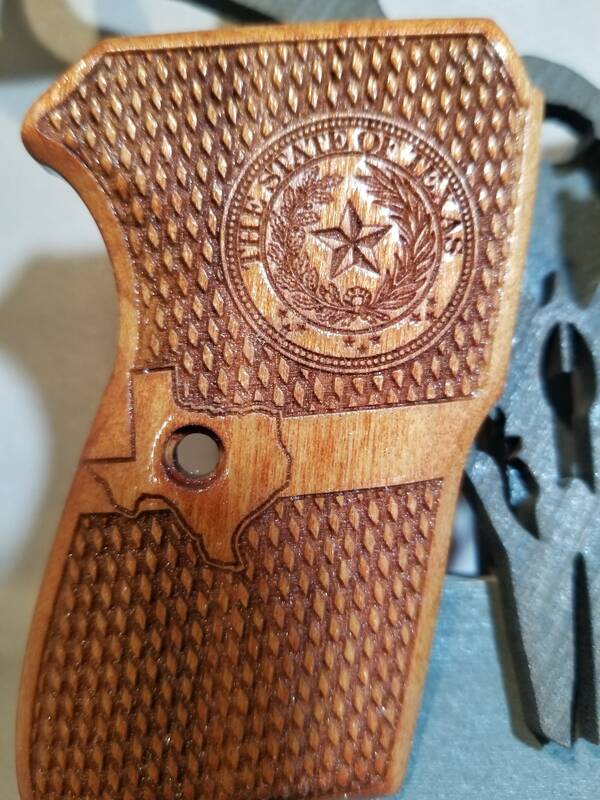 They are engraved with a stylized checkering throughout, with a Texas state out line banded around the screw hole, and, on the top, the STATE OF TEXAS seal. 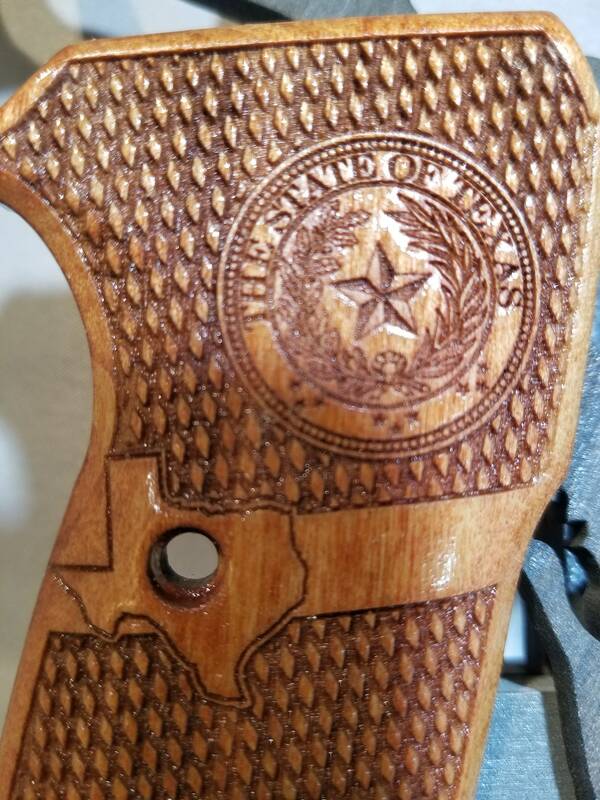 If you would like them with the REPUBLIC OF TEXAS seal, simply place the order, and put a quick note stating your request in the NOTES section of the order. 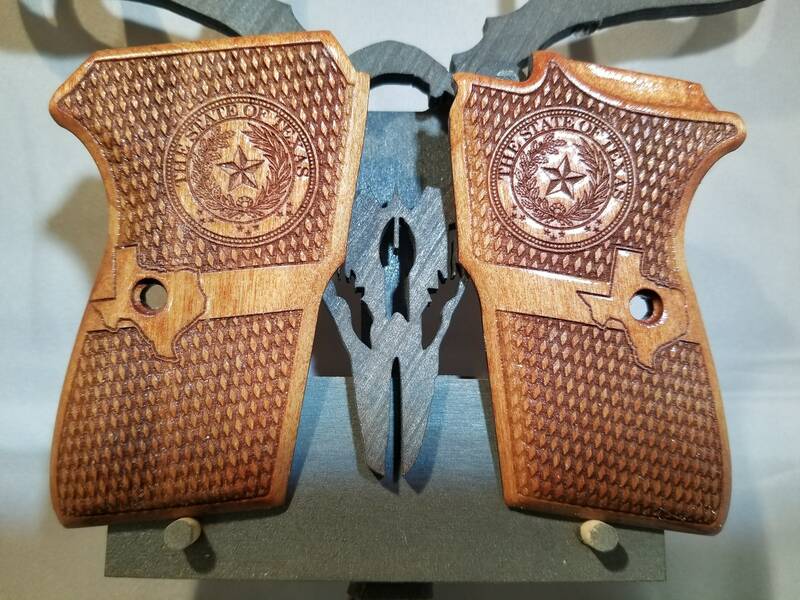 They have been test fit on a Stainless Bersa Thunder, but some small fitting may be required. 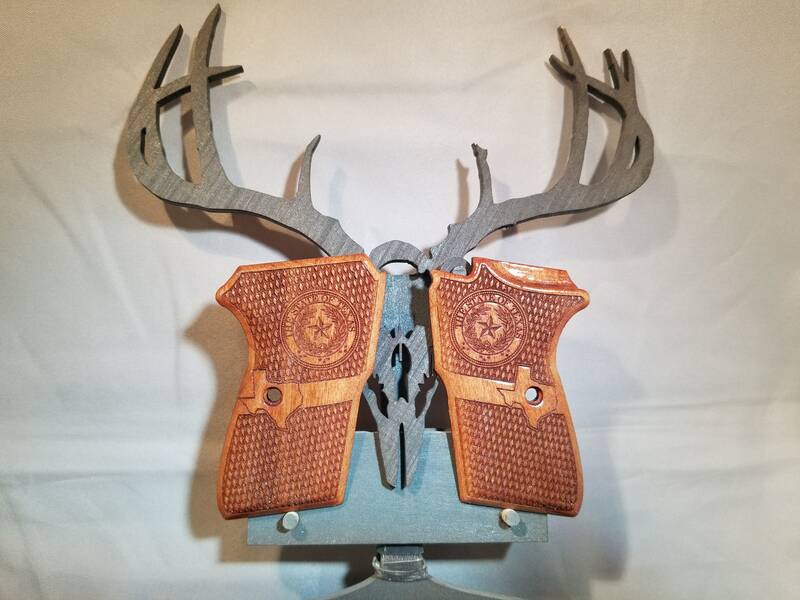 Will not fit on Bersa Thunder 380 CC (compact carry) but if you have that particular model, let me know and I can help!